Milkshakes are an indulge-worthy dessert any time of the year. Do you agree? Whether you’re a classic vanilla type, want all the fixings, or have some dietary restrictions, there’s a perfect milkshake for you in Chicago. 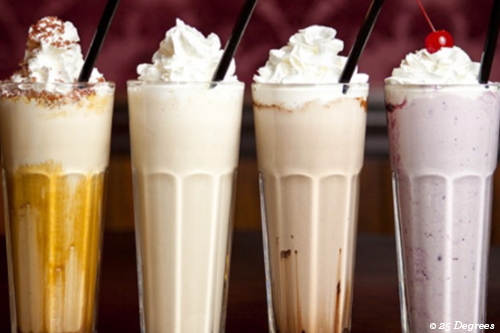 Read on for our top picks for milkshakes in the city. You won’t be disappointed by these handmade milkshakes that come in four classic flavors and generous servings. 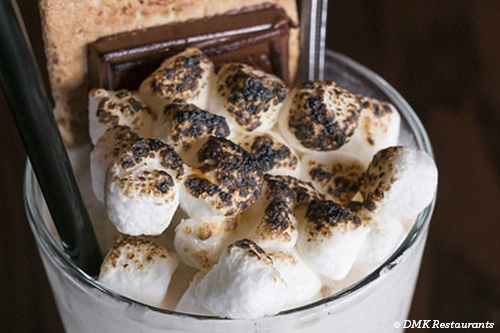 DMK Burger Bar also has seasonal flavors that are sorely missed once gone, including the s&apos;mores. Make it boozy for just five extra bucks. This popular brunch and club spot has killer ‘adult’ milkshakes. 25 Degree&apos;s flavor options include key lime, salty caramel, and bananas foster. Griddle 24 is open 24/7 for all your late night milkshake cravings, and is best known for their boozy concoctions (are you starting to notice a trend?). Their unique flavor creations include Kahlua cookies & cream, White Russian, and their cinnashake (Fireball, chocolate ice cream). If you’re looking for the best vegan milkshake in the city, The Chicago Diner’s award-winning ones are a must-try. We don’t know how they do it, but the cookie dough peanut butter (above) or carrot cake shakes are truly delicious. Even non-vegans can appreciate how well these shakes come out! Starting your New Year’s resolutions early? Try a slightly “healthier” skinny milkshake at one of Epic Burger’s locations for 30% less calories. We couldn’t tell the difference! You can make any of their flavors skinny—but peanut butter is recommended. 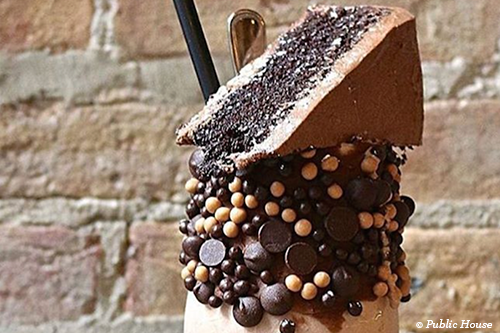 Public House Chicago is famous for their decadent cake shakes—a milkshake topped with a giant slice of cake. Bring a friend to share with, unless you’re feeling ambitious. You can choose from classic chocolate or vanilla, and their new gingerbread cake shake is currently available for the holidays. Have you tried any of the best milkshakes in Chicago? Leave a comment with your all-time favorite, and explore more dessert destinations across the city.